This post is part of a translation project for Fire Emblem: Radiant Dawn Memorial Book: Tellius Recollection (Vol 2). This post features some sketches I overlooked during the project itself (which is complete). 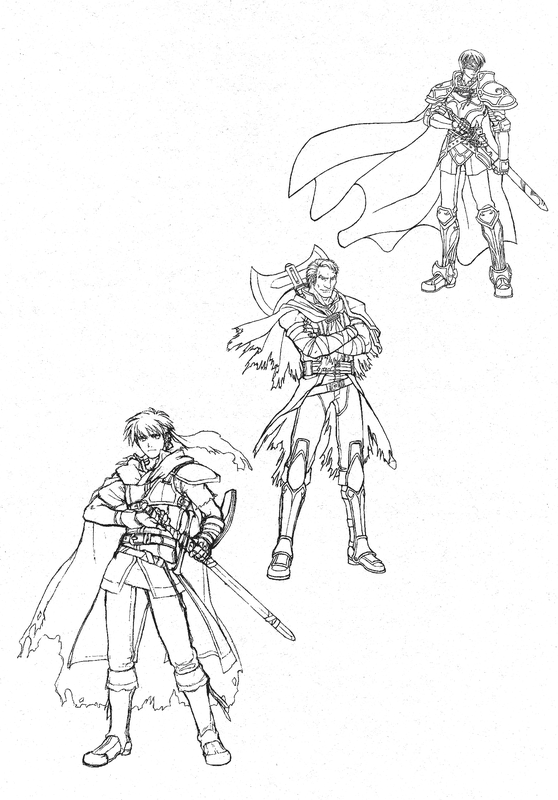 You can see sketches of Ike, Greil, (masked) Zelgius, and Leanne! You can find every translation done on this book on the compilation post here! 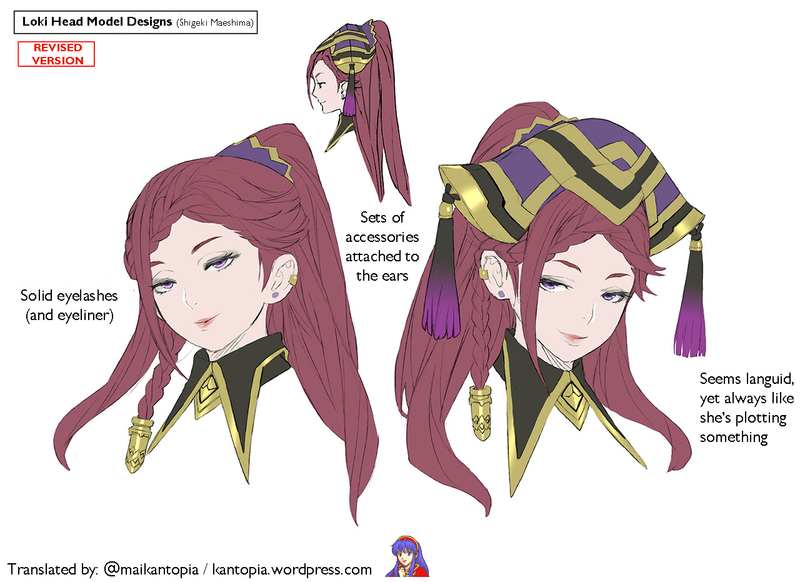 This post is part of the Fire Emblem Echoes Shadows of Valentia Memorial Book: Valentia Accordion project. Please note these posts may contain spoilers for those who have not completed the game. You can find every scan/translation done on this book so far on the compilation post. 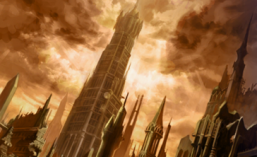 This post is part of my ongoing translations of the Fire Emblem Echoes Shadows of Valentia Memorial Book: Valentia Accordion project. Today’s post features concept art for several characters, mostly NPCs/antagonists. Please note I didn’t translate the micro text/comments as those are too hard to make out. 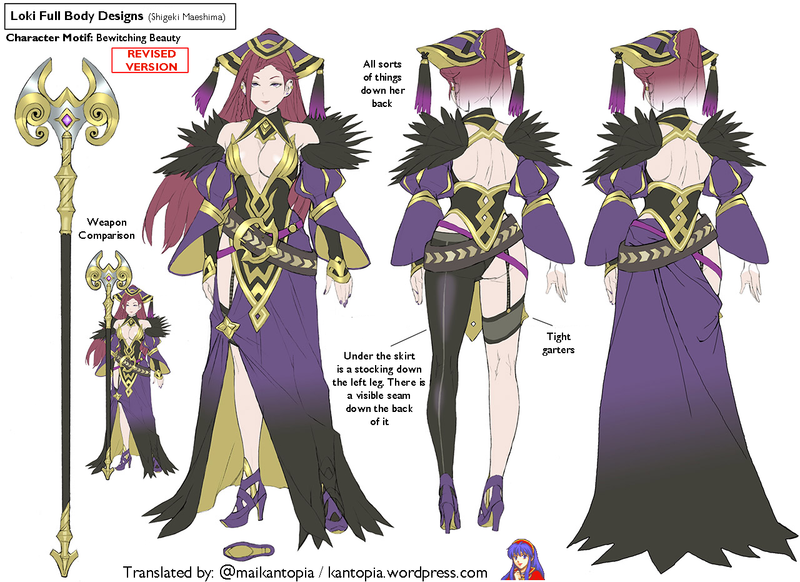 Some concept art emerged of what may be Loki (Fire Emblem Heroes)’s true form. I decided to quickly translate them as today’s post for those curious. 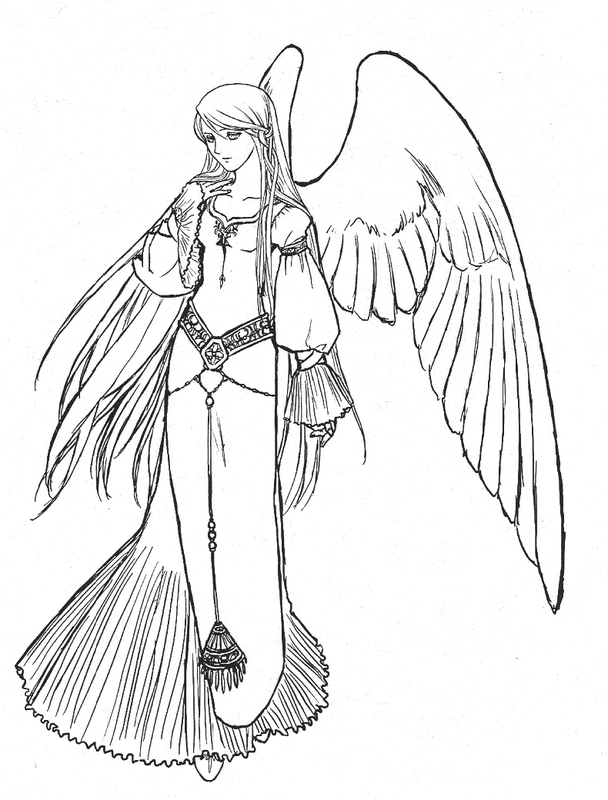 Original Japanese sheets can be found on the FE Wiki page. I think these sheets help answer the question posed on the previous post about Loki! This post is part of my translations of the Fire Emblem: Radiant Dawn Memorial Book: Tellius Recollection (Vol 2). 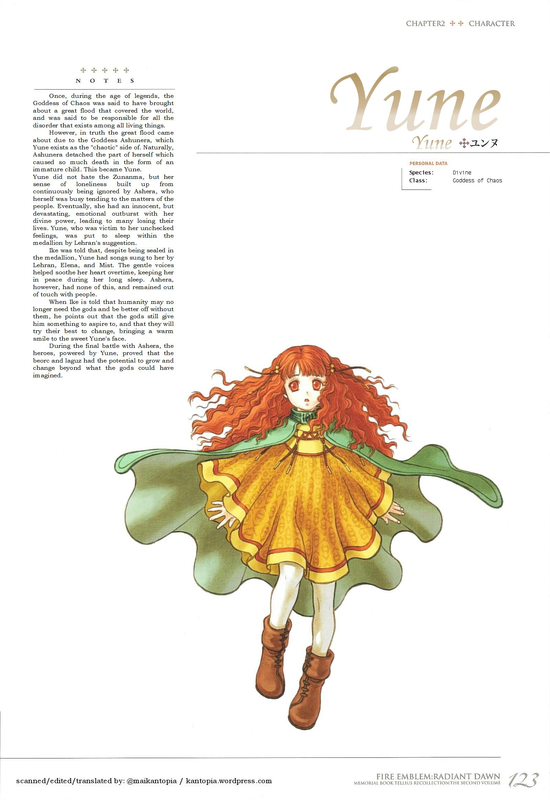 This post features Yune, a new character to Radiant Dawn. This is the final full character profile and page from this book! The project is now complete! You can find every translation I’ve done on this book so far on the compilation post here!